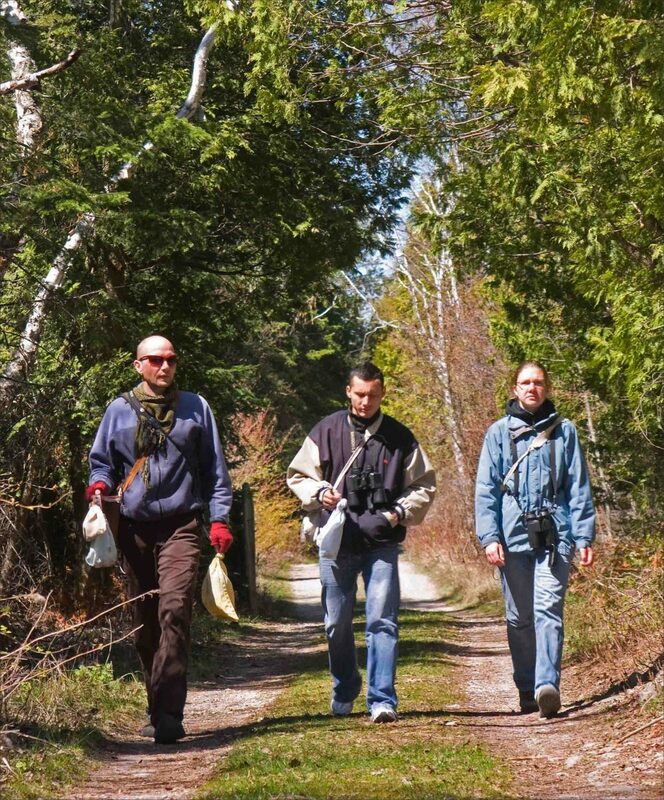 BPBO’s core program is migration monitoring of passerines at the Cabot Head Research Station. 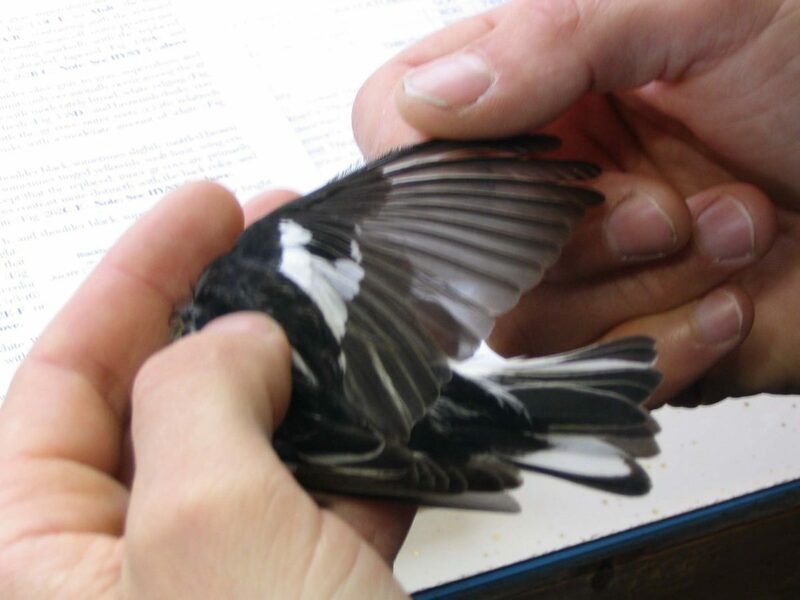 Migration monitoring is carried out in the Spring, from mid-April to early June, and again in the Fall, from mid-August to the end of October. A daily census, six hours of mist net captures, and incidental observations all go towards establishing the number of birds of all species moving through the area. 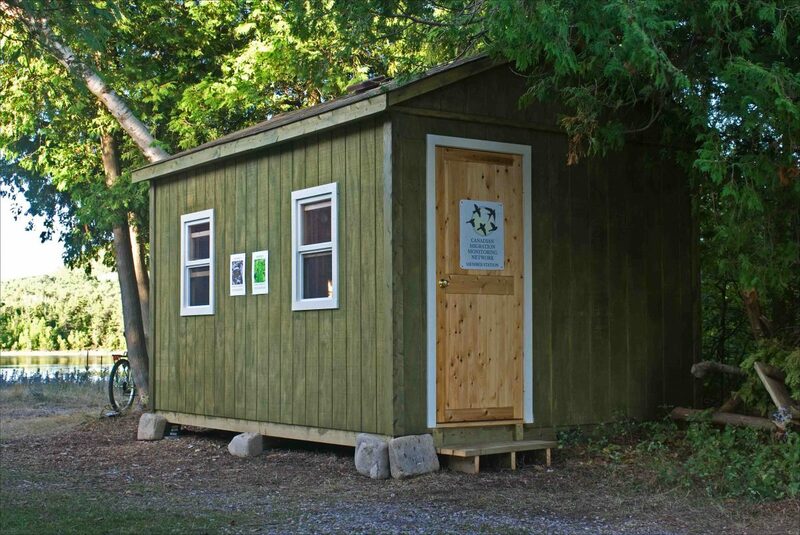 Cabot Head Research Station has been a member of the Canadian Migration Monitoring Network since its inception in 2000. BPBO also assists in other bird research. 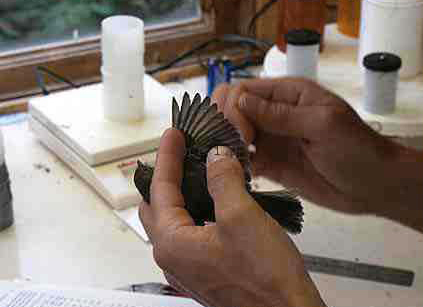 Feathers from American Redstarts and Swainson’s Thrushes have been collected as part of an isotope testing program. BPBO’s migration monitoring program depends heavily on the assistance of volunteers. 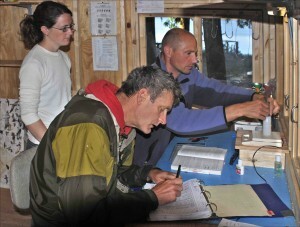 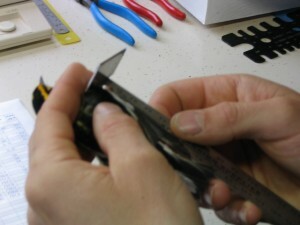 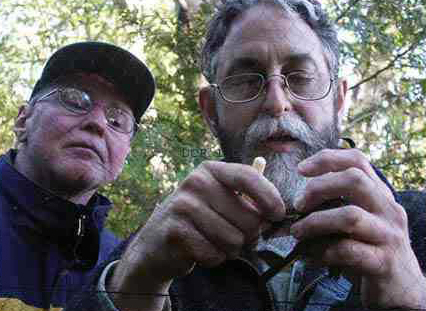 Volunteers help with data scribing, net extractions, and, depending on their level of expertise, bird banding. 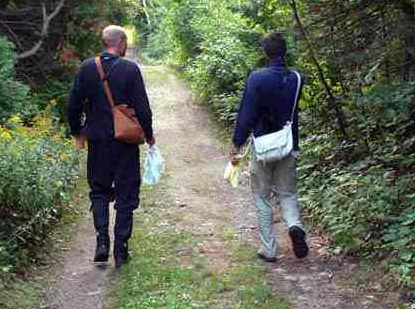 Learn how you can volunteer at the station. 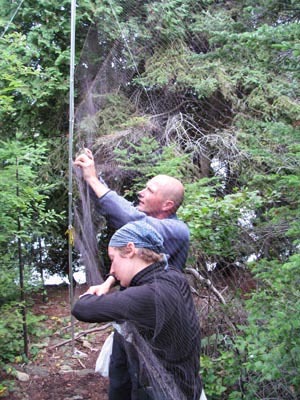 Station Scientist, Dr. Stéphane Menu, carefully removes a bird from on to the CHRS’s 15 mist nets. 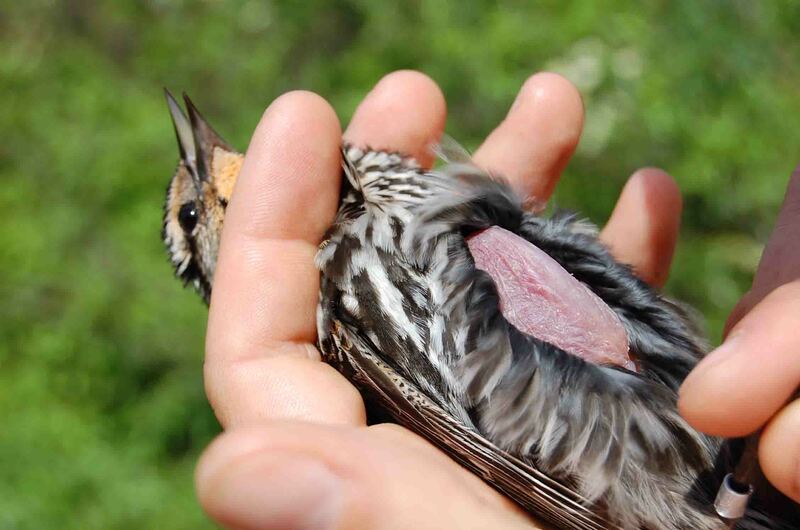 Sometimes, several birds need to be removed from a single mist net. 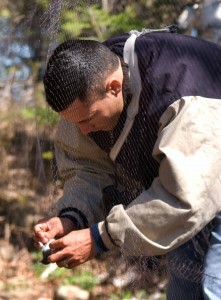 2010 Nicaraguan intern, Luis Valerio, removing a bird from a mist net at the CHRS. 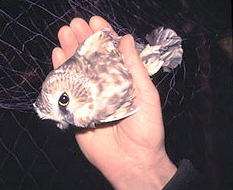 A tiny nocturnal Saw-whet Owl is removed from a mist net at the CHRS. Returning from a “net round” with enough bagged birds to keep them busy for a while. 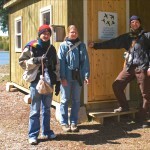 Some Spring days, the life of a migration monitors seems pretty rough! Station Scientist and volunteers entering the CHRS’s new (fall 2009) banding lab. 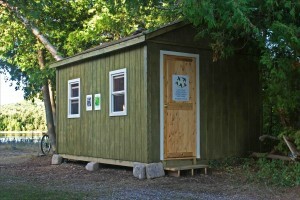 A new banding lab was erected on the CHRS site in August 2009. 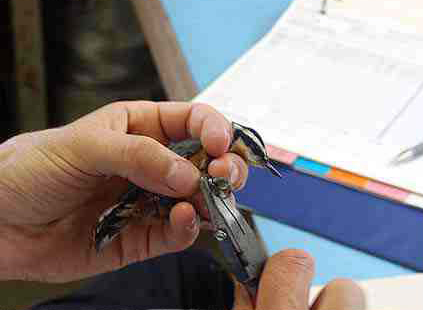 A size “0” band goes on a Red-breasted Nuthatch’s leg for future identification. 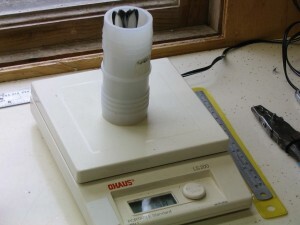 All biometric data (weight, size, etc.) 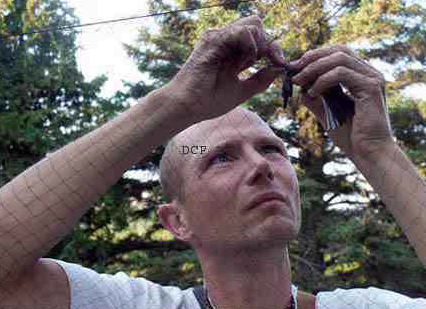 is recorded and forwarded to the Canadian Wildlife Service. Determining a bird’s age often depends on the shape and condition of its flight feathers. 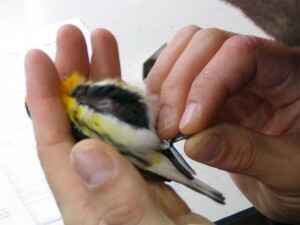 Examining a bird’s flight feathers for molt limits (patterns) that can assist with determining a bird’s age. 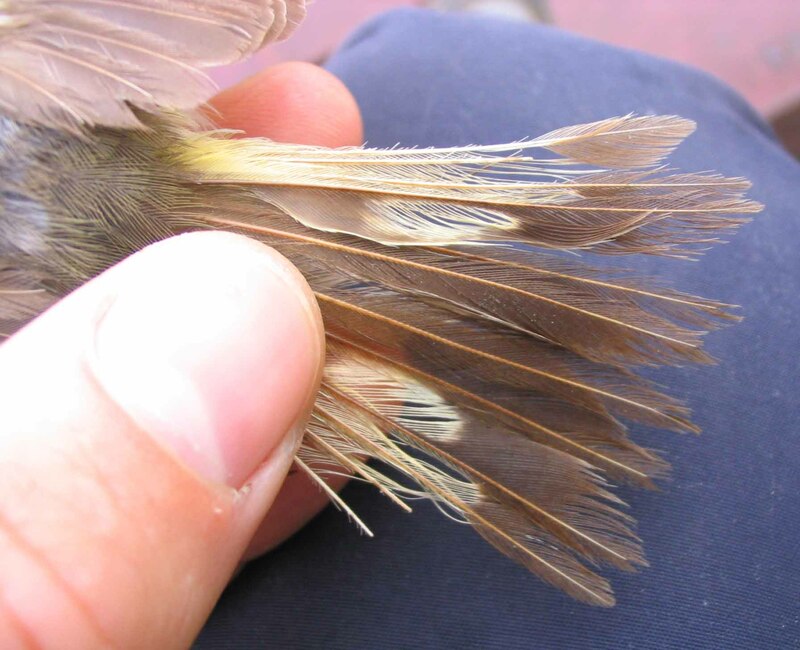 In Dendroica warblers like this Magnolia Warbler, the amount of white on the retrices (tail feathers) helps with aging of the bird. 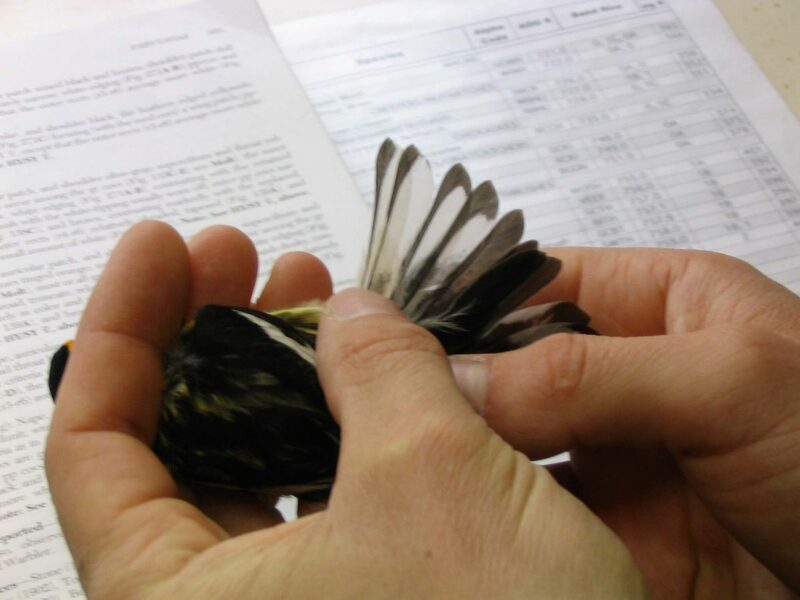 Timely and efficient processing of captured birds requires more than one person’s effort. This female American Redstarts retrices (tail feathers) are very worn and ready to molt to replace them. Checking for fat levels on a Blackburnian Warbler’s chest. The brood patch shows prominently on this female Red-winged Blackbird. 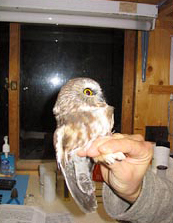 Saw-whet Owls are very docile while they are being handled by banders. 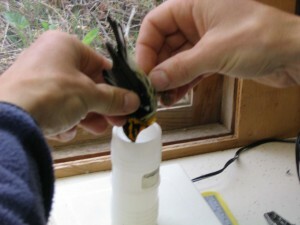 Each bird, like this Blackburnian Warbler, are carefully weighed before being released. 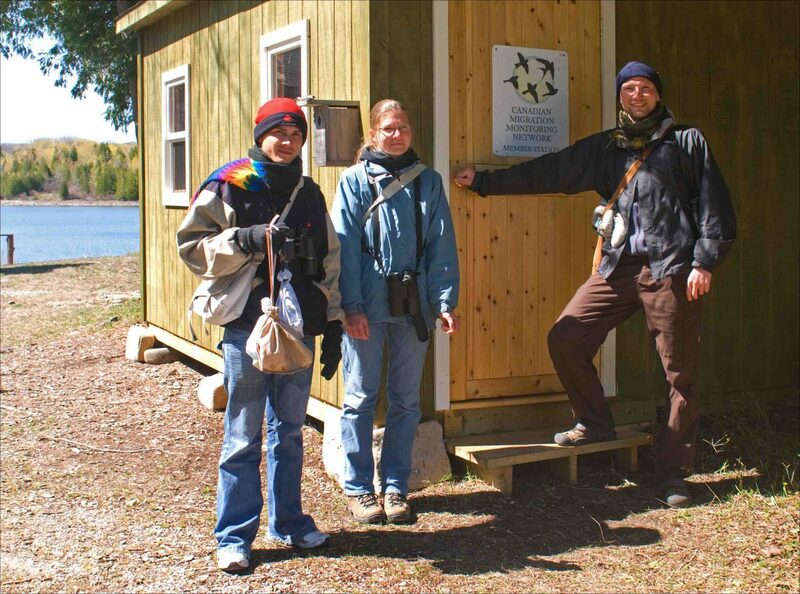 A long-distance migrant, like this “Dendroica” warbler can weigh as little as 8 grams! 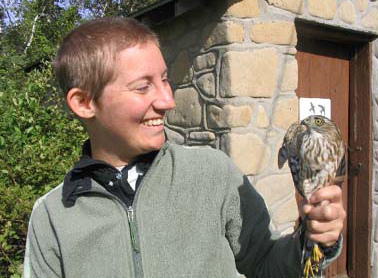 Only the volunteer is smiling as she prepares to release a Sharp-shinned Hawk.